Delighted to see that a charter member of IntLawGrrls blog, Dr. Hari M. Osofsky, has been named the new dean of Penn State Law and the School of International Affairs in University Park, Pennsylvania. Pending approval by that university’s trustees, Hari is due to start the new post July 1. The appointment marks the latest step in a distinguished career. 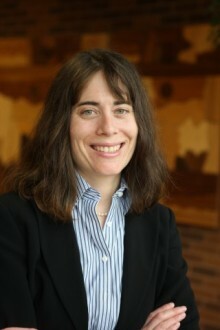 Hari’s currently at the University of Minnesota Law School, where she serves as the Robins Kaplan Professor of Law, faculty director of the Energy Transition Lab, and director of the Joint Degree Program in Law, Science and Technology; she’s also affiliated with other University of Minnesota units. In addition, Hari has held academic appointments at Washington & Lee University School of Law, the University of Oregon School of Law, and Whittier Law School in the United States, along with Sun Yat-sen University in China. Hari earned a Ph.D. in geography from the University of Oregon and a J.D. from Yale Law School, and served as a law clerk to Judge Dorothy Nelson, U.S. Court of Appeals for the Ninth Circuit. She’s won awards from and been a leader in multiple professional organizations, including: the American Society of International Law; the International Law Association; the International Bar Association; the Association for Law, Property, and Society; the Association of American Law Schools; and the Society of American Law Teachers. She’s published more than 50 books, chapters, and articles, focusing on improving governance and addressing injustice in energy and climate change regulation. Hari made her blog debut on February 17, 2007, during IntLawGrrls’ gestational phase. She wrote a “First Missive from Mata Hari,” a title that recalled our initial use of pen names. Since then, she’s filed many posts (here and here), often on the issues of international environmental law, policy, and theory that animate her scholarship.